Casper Citron and Leonard Lopate. · One Book. One Author. One Hour. Casper Citron and Leonard Lopate. Brian Lamb, 1941-, “Casper Citron and Leonard Lopate.,” One Book. One Author. One Hour., accessed April 21, 2019, http://booknotes.gmu.edu/items/show/2987. 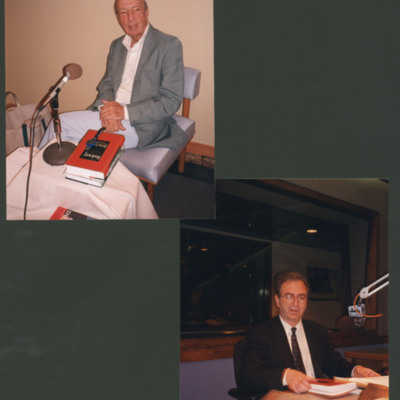 Casper Citron (upper left) interviewed Brian for the Casper Citron Show on radio - the interview was conducted in a tea house off the lobby of the Kitano Hotel in New York. 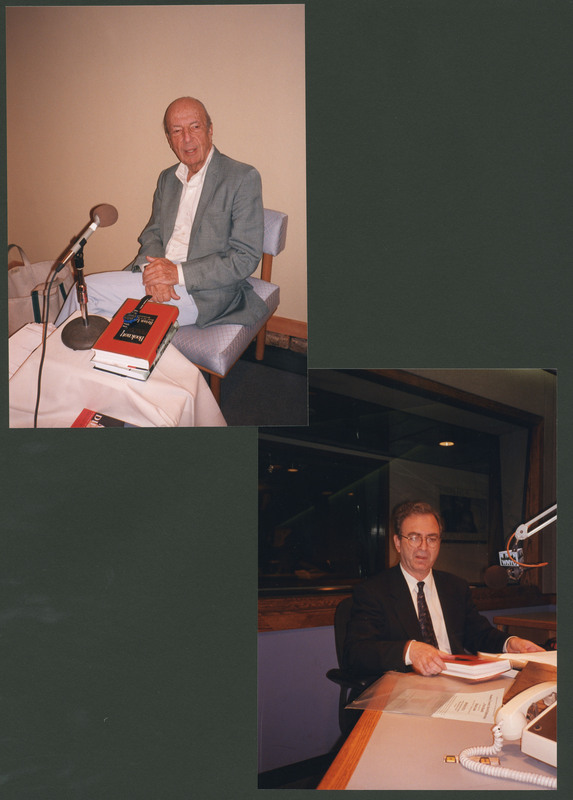 Host Leonard Lopate (lower right) interviewed Brian for the "New York and Company" show on WNYC radio, the NPR affiliate in New York City.